SHAMAN is out! Let the third wind carry you to Loon and take a trip to ancient Urdecha! 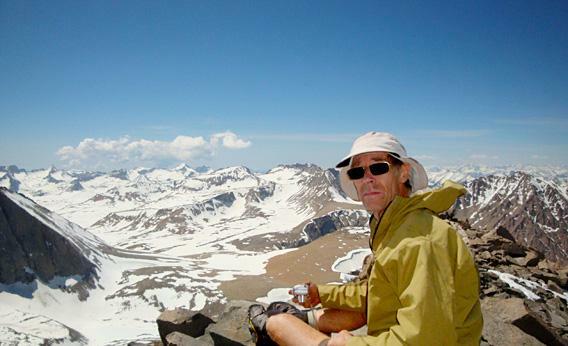 Kim Stanley Robinson's main inspirations for this novel have been the discovery of Ötzi the frozen man in the Alps in 1991, with all his alpine gear, and his own personal experiences of living in open spaces while hiking in the Sierras. When asked to write about exploration for Slate.com, Robinson wrote about this experience of hiking in the Sierra Nevada of California, through rough off-trail terrain, with whatever partial help maps and GPS can give you: "The Map Is Not the Territory". There's some great landscape writing in there. Just last week we were crossing from the west shoulder of the Gemini to Upper Turret Lakes, on a broad ridge in the sky, which our topo map showed as smooth. But we could see a drop ahead, blocked by a knob that kept us from seeing how deep the drop was; it could have stopped us, sent us back ever so many miles. And there was a notch up the other side of the drop that looked vertical. Two potential stoppers, and we hurried along that ridge round-eyed, hearts pounding, ignorant of what we would find. It was an ancient feeling, a primate thrill. Exploration was alive. As with Galileo's Dream, also based on past events, there is going to be loads of material to explore at in the internet and off about the setting and the the lives of the heroes of Shaman! LiveScience interviewed Robinson on Shaman and its themes, its background, and the amount of real "certified" science that he put in it: "Looking 32,000 Years in the Past". LiveScience: What kind of research did you do when writing "Shaman?" Kim Stanley Robinson: Mostly, [I read] the relevant materials. There was also that Werner Herzog movie, "Cave of Forgotten Dreams." I got the DVD of when it became available, because it's that very cave that I'm writing about. I have an archaeologist friend who lives across the street who read the manuscript and friends at [the University of California], Davis connected me up with an anthropologist that works with preliterate cultures in New Guinea highlands. Also, my own snow-camping experiences just [gave me the] direct experience of being out in the snow with camping gear only. That was a big help. It comes down mostly to reading the relevant scientific literature and also other prehistoric novels that existed before mine. LS: Does this book have a place in your science fiction work? K.S.R. : It has been part of the project all along for me — this science fictional project of what is humanity. What are we? What can we expect to become? 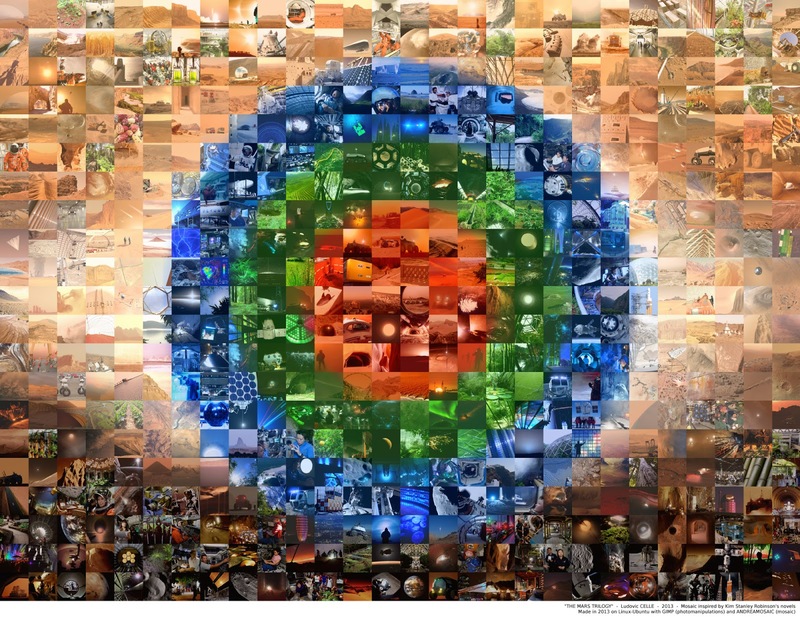 How do we use technology? Is there a utopian future possible for us? In all of these questions, it becomes really important [to understand] how we evolved to what we are now and what we were when we were living the life that grew us as human beings in the evolutionary sense. 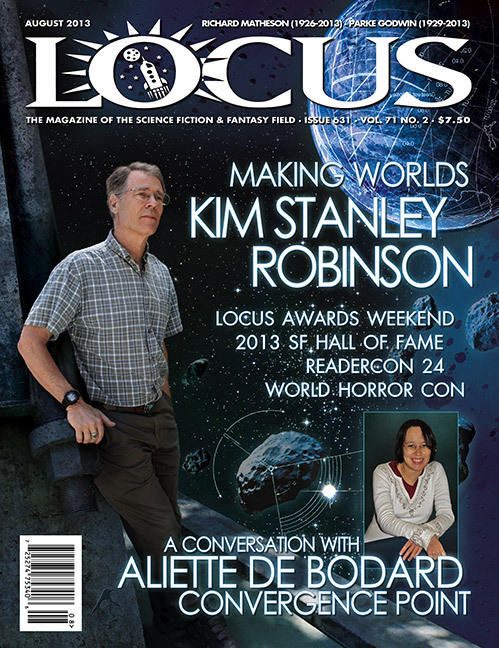 Apart from the interview, LiveScience also did an article on "The Real Science of Kim Stanley Robinson's 'Shaman'" that uses some of the same material but offers some new as well. Goodreads also interviewed Robinson, not just on Shaman but on various of his works, taking questions from Goodread members. It's a great read! GR: Have you ever attempted something on par with Loon's wander? Kim Stanley Robinson: No, nothing quite like that. It's a ritual initiation into a shaman's life and meant to be an extreme experience. Don't try Loon's wander at home! GR: You're already known for alternate history, notably The Years of Rice and Salt. But Shaman goes considerably further back. 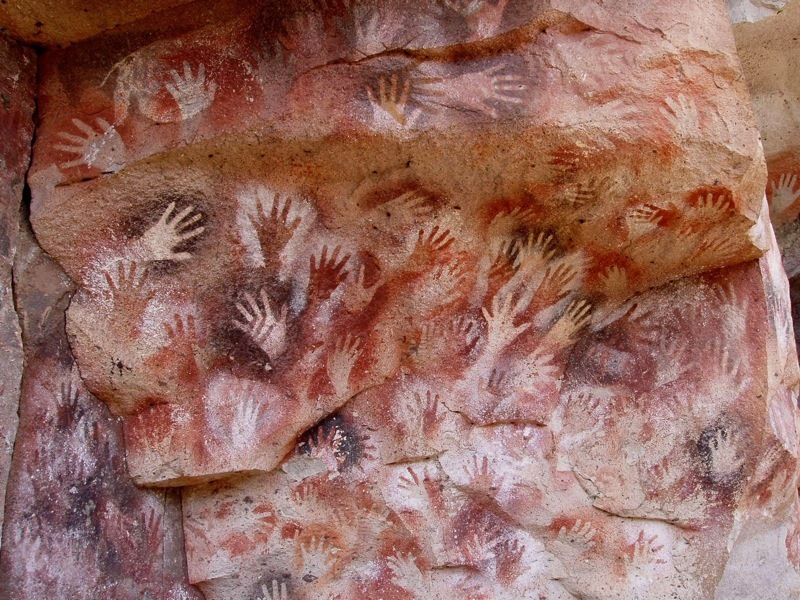 What inspired you to write about the Paleolithic era? KSR: It was partly the backpacking. When the body of the Ice Man was discovered emerging from a glacier in 1991, it occurred to me that his clothing and gear much resembled the stuff we took with us into the mountains. His materials were different, but the design and function were much the same. This started me thinking about the Paleolithic and the many thousands of years we lived that kind of life, and it became something I wanted to write about. This stayed a general desire until I learned about the Chauvet Cave, discovered in 1995, with its beautiful paintings that turned out to be 32,000 years old. At that point I felt I had found my story and characters. GR: Jared Diamond's recent book, The World Until Yesterday, looks to traditional societies for lessons on how to live. Shaman offers a similar look at an older way of life—much, much older. What do you think we can learn from looking backward? KSR: We can learn how we became what we still are now; this has to be instructive. Nowadays, with our powerful technologies, it feels as if we have detached from nature and can become anything we want, but in fact we are still the same animals we were 50,000 years ago. And we evolved into the animals we were then, and are now, by living a certain kind of life. The more we understand that, and contemplate what it was we were doing in the Paleolithic that we could regard as fundamentally human (meaning the things we did that made us human in the first place), the better we can judge our current range of potential behaviors: Are they good or just the illusion of good? Do the activities make us healthy and happy? Bringing in the Paleolithic can make these questions shift from what might seem mere matters of opinion to a set of physical facts that can't be denied without bad effects in our lives. So I think the Paleolithic lessons can be really useful and profound. Though rather more modest in its scope and conventional in its concepts than Kim Stanley Robinson’s staggering space operas, Shaman tells an ambitious, absorbing and satisfyingly self-contained tale on its own terms. At once delightful and devastating, it transports us to a moment in time, reverently preserved and impeccably portrayed... and if that moment is off in the other direction than this author tends to take us, then know that he is as adept a guide to the distant past as he has ever been the far-flung future. Finally, on a completely different topic, Robinson is featured, with many others, in a BBC show on "After the Gold Rush - The Poetry of California", where he talks about the impact of California's landscape on its writers. The podcast is available here. Watch out the calendar of events (on the left) as it is updated with events, panels, readings, signings, as we celebrate Shaman! 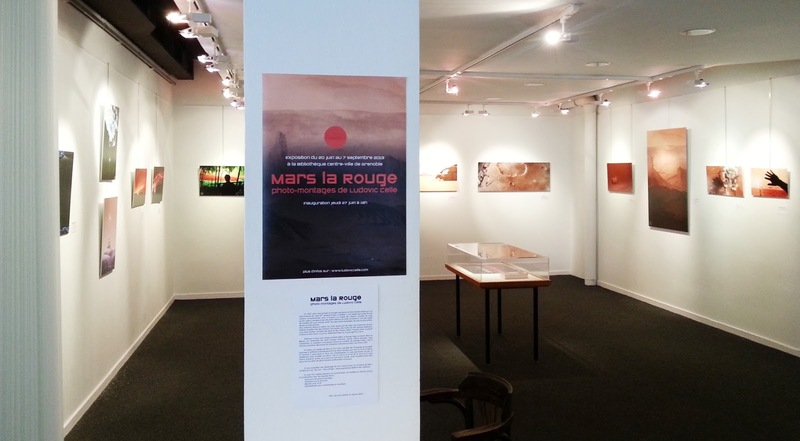 Read more about Art corner: Ludovic Celle's "Mars la rouge"
She will help you if you ask"
Kim Stanley Robinson's next novel, "SHAMAN", is coming less than two months from now, on September 3 2013! Robinson said that he disagreed with scientists resolved that the best tack is adapting to climate change, rather than trying to halt it or reverse course. Robinson read an excerpt from his novel, Shaman, set in a prehistoric ice age. But this is no pulp-/Hollywood-/ One Million Years B.C.-inspired novel. 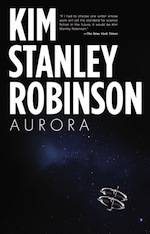 Robinson takes his science fiction seriously; he writes hard science fiction. Strangely, however, Shaman does not seem to be his typical hard sci fi. In fact, with references to tribal magicians and mystic journeys one would think it’s closer to fantasy. But, after the reading, Robinson used the tribe from his this alternate (pre-) history novel as a model for how modern day humans are capable of planning ahead to save themselves from future ecological disaster such as an arctic meltdown. He explained how we can collectively come to solutions to prevent the disastrous effects of global warming. 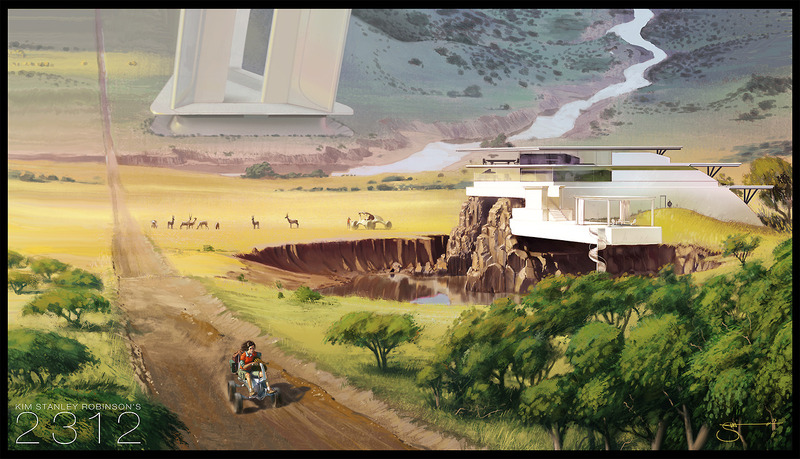 During the two authors’ dialog on the subject of climate change and science fiction, one phrase Robinson kept bringing up was “utopian societies”. He referred to the primeval tribal society of Shaman as a model for a more communal future society that can plan ahead to prevent, or at least reduce, ecological disaster such as a global meltdown of the ice caps. Robinson explained how such a society could work in a high tech age: by utilizing clean energy technology and reforming capitalism to make it more socially just (though not necessarily communist). Through this idea, Robinson explained the economic implications and necessary reform for an environmentally responsible society. In the meantime, Robinson is participating in Clarion's Write-a-thon. In related news, the literature and science fiction world recently mourned the loss of one of the best writers of the field and personal friend of Robinson, Iain M. Banks. His last novel, The Quarry, was published barely days after his death in June 2013. Top image: SHAMAN cover artwork by Michal Karcz, also featured prominently in Orbit Books' Autumn Catalogue 2013.